Please take note that the Annual General Meeting (AGM) of the Sunbury Cricket Club will be held on Friday, 12th May, 2017 commencing at 7.00 pm. in the Sunbury Bowling Club Rooms, Riddell Rd. Sunbury. All financial members are welcome to attend. Confirmation of Minutes of the AGM held on the 26th May, 2016. 6. Election of Committee of Management. This is not required as all points are covered in Rules of Association. ( c) Moved MK, 2nd MW- rename of By-Law No 2 (A) to read as By- Law 2. Copies of by-laws are available to financial members (as per the Rules of Assoc.) 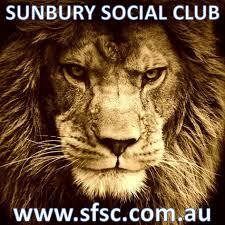 on request by email sunburycc.vic@gmail.com. A nomination form for any committee position may be obtained by contacting the undersigned by email sunburycc.vic@gmail.com . All nominations are required to lodged no later than Thursday, 11th May 2016. All members are urged to attend the meeting to ensure a successful beginning to the 2017/18 season. Please bring this notice and copies of other correspondence with you to the meeting.